Japan’s FTAs as Tools for Achieving Companies’Commercial Interests: Do Japanese Corporations Need a Region-Wide Trade Liberalization Treaty? 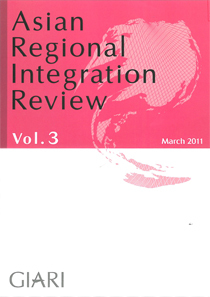 Apirat Petchsiri, Jose Luis De Sales Marques, William Roth, eds., Promoting Human Rights in Asia and Europe: The Role of Regional Integration, Baden-Baden: Nomos Verlagsgesellschaft, 2009. Amitav Acharya and Barry Buzan, eds., Non-Western International Relations Theory — Perspective on and beyond Asia, London and New York: Routledge, 2010.